This online video tutorial teaches you a comprehensive knowledge of Process Analysis using a Customer Event Driven methodology. It teahces the skills necessary to analyze and produce a Business Process Model with support specifications for your organization using practical in-depth examples and graphics. 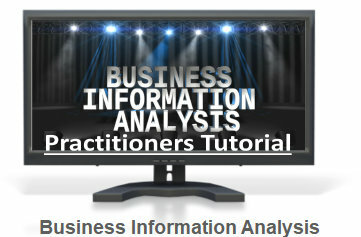 This practitioner’s tutorial teaches a detailed knowledge of how to analyze the Business Processing aspects of an organization. This detailed course teaches you a mastery of Business Process Analysis using Customer-Focused concepts and its result, which is a Business Process Analysis Specification. That specification captures the Essential Business Processing and Workflow in an organization or business area. At the end of the course you should be able to use your skills to analyze a business and recommend a new, efficient, implementation structure for the business that no competing organization can beat. There are many real world examples used throughout this material.